A key component of adaptation planning is to clarify your objectives and to understand how climate change is likely to affect you, your organisation and its stakeholders. In Step 1 of C-CADS you will determine the appropriate framing and scope for your planning effort, and the extent to which your area of interest is likely to be affected by climate change. This information will help you to determine whether to begin the process of adaptation. You will be guided through the process of getting buy-in from senior management of your organisation, other stakeholders and the community. We discuss important governance and engagement structures which can be established to help ensure that climate adaptation planning is taken seriously by your organisation and that your engagement with stakeholders and community is effective. undertake internal and external engagement to ensure that you have strong support. Climate change is happening; resulting in measureable changes in many places across the globe, and is likely to lead to significant changes over time. Regardless of efforts to mitigate emissions, some level of climate change should be considered as locked-in, and there is a need to consider and plan for actions to reduce the adverse consequences which may arise, and to identify and harness any beneficial opportunities. This is known as climate change adaptation. A detailed overview of the types of adaptation and some of the concepts of adaptation can be found in Overview of adaptation. Your adaptation planning will be most effective if it follows a flexible, iterative process. This will enable you to appreciate the effects of climate change on your area of interest and to produce a fit-for-purpose plan—that is, a plan that is supported by your organisation and stakeholders, and which integrates with and builds on other plans of your organisation. We provide guidance and support to identify challenges and on determining and implementing effective adaptation actions that are flexible and cost effective. Determining and monitoring thresholds, and implementing actions when certain triggers are reached, prevents unnecessary spending and enables effective stakeholder engagement. In this section, we focus on the start of your adaptation planning journey, or the continuation of the planning cycle following evaluation and review of a previous iteration. We provide information to identify the challenges of climate change, and determine whether you need to act. This begins the process of a call to action for adaptation planning for your organisation and your stakeholders, and helps to ensure you have in place the leadership, management and engagement, and the organisational structures required for addressing climate impacts. Selecting the appropriate framing and scope for your adaptation plan is an important consideration. Doing this early in the process will enable you to contextualise, position and scope your adaptation initiative as well as identify who should be involved in developing, owning and implementing the plan. Is it only people in your organisation? Should other organisations be involved? 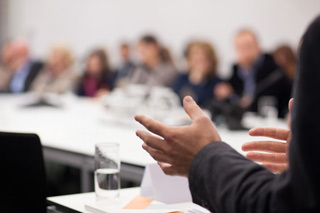 What stakeholders should you be considering? Climate change does not recognise organisational boundaries, and to ensure you work at a manageable scale you need to determine the biophysical and socio-economic landscape that is relevant to your needs. Framing includes considering the extent of your adaptation ‘system’. Are you developing a plan for a particular beach, or business interest; or are you developing a plan that will cut across a series of local government boundaries? Adaptation planning can be done at a project level, requiring a fit-for-purpose approach that can be defined at this early stage. Putting effort into the framing of your adaptation plan will help you to determine the approach and scope. It will also help you to identify when you need to consider interdependent areas and issues. For example, how will your plan consider direct and indirect effects from climate change and non-climate drivers and risks? It will also help you to consider opportunities which are an important consideration, and which will assist with engaging stakeholders. Other resources include land use plans, and a range of other maps that can be obtained from local and state governments, and from online resources such as OzCoasts (managed by GeoSciences Australia). Investors may be considering an adaptation plan for a shopping centre. Their primary interest is in the development itself. However they could also consider the surrounding area, including access routes to ensure that staff and customers can reach the centre during flood events. Coastal managers should consider sediment compartments to ensure that they are operating at a scale that reflects the sediment dynamics of the area. Failing to consider sediment dynamics may result in poor decisions such as permitting development near areas which are prone to beach erosion, rather than areas in the same compartment which are prone to accretion and unlikely to suffer erosion in the future (more information and maps of compartments can be located here). At this early stage of the adaptation plan it is useful to understand the values that are held by stakeholders and the community about your asset or area. This will help you to establish a vision and goals for your adaptation plan. Understanding values helps you to know what people consider important about climate adaptation planning and what they want from the planning process; it also helps the process to be more equitable, inclusive and legitimate (Barnett et al. 2014). Helpful information on establishing values can be obtained from Barnett et al. 2014 and Jones et al. 2016. There are a few barriers that may constrain or halt planning by your organisation. 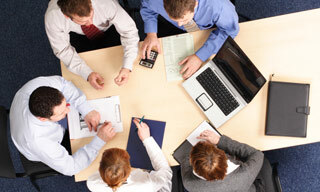 Key barriers include a lack of capacity within the organisation. This can include a limit of technical expertise across a range of areas in the organisation but can also include lacking the ability to fund adaptation. Also important is the culture of the organisation which can work to limit or prevent decision making on adaptation. For instance, if an organisation does not have good internal communication between departments, it is unlikely to develop a holistic approach to respond to climate risks. These organisational aspects can cause, or reflect, a lack of leadership on adaptation. Leadership needs to come from the top but can also come from staff or the community building support for change. Further information on barriers can be obtained from Barriers to adaptation. To identify the barriers within your organisation that may be slowing progress you can probably list some obvious ones yourself: especially about expertise and skills that might be lacking. For organisational barriers, you could talk to others in the organisation about what they think are the stumbling blocks: senior people might have a different perspective to junior staff. It can be useful to consider approaches for Getting organisational buy-in. An example of a barrier is difficulty in financing adaptation options, especially as adaptation has to compete for resourcing with a range of other important priorities. Ideas about funding and financing adaptation are discussed in Financial resources. Once you have selected the appropriate scope and identified and considered barriers, the next step is to articulate clearly what you hope to achieve through considering climate change and subsequent adaptation. This will help to drive the work you do at this early stage and clarify your purpose when you engage with internal and external stakeholders. This ‘vision’ provides a big picture view of what you hope to achieve; while ‘goals’ indicate the various things that are needed to achieve your vision. These may reflect the stakeholder and community values that you have identified at this stage. You can reconsider your vision and goals as you progress through your journey: they are likely to change once you begin to engage with stakeholders, and as you work through the adaptation planning process. In determining goals for your adaptation plan, you should consider goals for your organisation that may be listed in other planning documents. Do any of these need to be reconsidered? Are they aligned with or assimilated into your plan? What are the past and current challenges facing us in our area of interest? Climate continues to cause many challenges for coastal managers. With rising seas, warmer climate, changes to rainfall intensity and variability, it is likely that past challenges will be exacerbated and new challenges will arise. Experience has shown us that we have not responded well to many past and existing challenges associated with extreme weather. We need to understand the strengths and weaknesses of our past and present responses and learn from these if we are to adapt to future challenges. Figure 3: Past flooding in the Brisbane River Estuary. This flooding was not related to climate change, but illustrates past challenges of estuarine flooding. Lessons can be learned from these that will increase our resilience to such events in the future. Photo: © David Rissik. 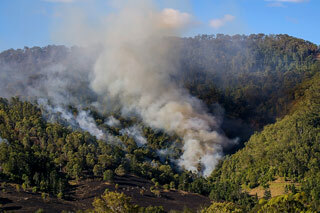 Past challenges— such as floods, heat waves or bushfires— are tangible events that can be used to engage communities, stakeholders and decision makers. Past climate-related events such as these— and the responses to them and lessons learned— can underpin non-confrontational conversations with the community about future adaptation. You can include information about how your organisation and stakeholders have responded well and also where responses have been inadequate. You can also discuss how these responses might need to change if these events are likely to be more frequent or more intense. A simple approach is to develop and present your own narrative (story) about past events, or to construct a timeline of past events together with stakeholders. This can be done as a fairly simple whiteboard exercise (Figure 4, Ross et al. 2012), or more elaborately. Lake Macquarie City Council used photos of extremes to illustrate what the future may look like (Lakeside communities' adaptation planning). This knowledge can be used to develop a case for action for your area of interest. To do this it is important to understand and articulate some of the complexity of climate and climate change, and its implications. Information can be obtained here (Climate observations to identify hazards, Causes of climate change, Global climate change, Climate change surprises), and to get information on Australian and regional climate, its variability and effects (Australia's current climate, Observed climate and sea-level rise, Overview of impacts). Take note of the variability associated with climate and climate change. Also note that climate change is not linear and incremental, but can be associated with gradual, step change, concurrent and successive events; all of which complicate determining impacts and risks. You need to identify appropriate responses to these. Engaging with stakeholders about past events also can facilitate discussion about interdependencies, as well as discussion about direct and indirect impacts. Getting an indication of these, and their importance, will help to develop the adaptation plan. Guidance on a useful approach to determining interdependencies together with stakeholders can be obtained from Ross et al. (2015). Figure 4: Use of timelines to understand past climate for using in first pass risk screening. Source: Ross et al. 2012. What do current and future climate change mean for my area of interest, my organisation and me? Having developed an understanding of past and present climate and the complexities of climate change, it is now appropriate to determine what climate change means to your situation. To do this it is necessary to have access to information about climate change and if possible about how it will affect the area you are interested in or are responsible for. For more detailed information about climate change, and to find resources or guidance follow these links: Climate change in Australia, Ocean acidification, Climate observations to identify hazards, Climate change surprises, Overview of impacts, Data for risk assessment, Local scale risk assessment. Accessing data or descriptions of how climate will change is essential to support your understanding of how climate change may affect you. In doing this you need to know how to interpret this information. You can get more information about emission scenarios and climate change here: How to understand climate change scenarios, How to access climate change scenarios, How to use climate change scenarios to evaluate risk, plan and make decisions, How to communicate about global climate change scenarios. At this stage it is not necessary to get a lot of data or a detailed visualisation to support what is known as a first-pass risk assessment. More detailed information, data and mapping may be required later if your area of interest has a high risk of climate change impact. The first-pass risk screening enables you to determine your potential future exposure to coastal climate change hazards and at what temporal and spatial scales the risks associated with these hazards are likely to be apparent. This assessment is deliberately designed to be a coarse, cost-effective process. It can assist you to decide the types of impact you may face, and to start thinking about how these impacts may change over time as the climate changes. It can also support investors to undertake due diligence activities when purchasing assets. Importantly, this risk screening can also help to identify opportunities that may arise from addressing risks. This process of first-pass risk screening can be supported through available information and national or regional scale data, and even expert opinion. This exercise should enable you to start a discussion in your organisation around climate change risks. Lack of detailed local information should not prevent you from undertaking this step. The process should not be complicated and can be undertaken as part of an overarching visioning exercise for short, medium and long-term planning of your organisation. 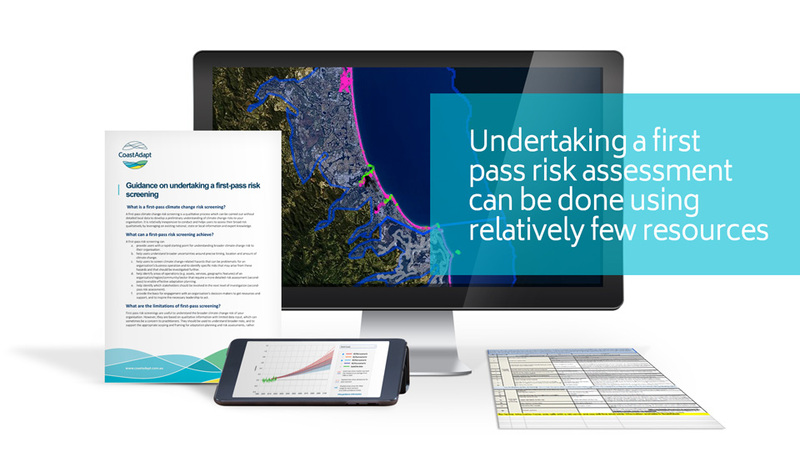 CoastAdapt provides Guidance on risk assessment and a simple tool to assist you to assess your Local scale risk. Useful information on national climate change data and visualisation products to support this process can be found here. In undertaking a first-pass risk screening, we recommend that you use a high emission scenario (RCP8.5). This will enable you to consider the “worst case” of your exposure. However, we also recommend that you consider the risks associated with multiple climate futures and investigate your exposure for at least one other emission scenario. This will help you to understand the range of uncertainty regarding certain climate attributes such as rainfall (see Figure 3). Considering a range of climate futures may also require you to consider what adaptation responses are required for drought, for floods, and importantly, for a rapid switch from one to the other. Figure 5: Model projections for the East Coast of Australia in 2090 for a high emission (RCP 8.5) scenario. Note that 10 of the 28 models project a much drier future, but 3 of the 28 models project a much wetter future. These suggest the need to understand risks at drier and wetter extremes, which will then need to underpin selection of adaptation options. Source: © CSIRO and Bureau of Meteorology 2015. After conducting the first-pass risk screening process you should be able to firstly, determine whether you need to adapt to climate change and, if yes, what areas or risks to focus on. This will allow you to investigate further details on the areas or risks of most concern by using a second-pass risk screening and, if necessary, a detailed assessment which will use progressively more detailed data, information and modelling. These more detailed risk assessments will often require hiring specialist consultants. It is important to consider the sort of engagement that is required at this stage, not only to support the risk assessment, but also to raise awareness of the impact of climate change on your interests. A useful outcome at this early stage is for climate risks to be included in risk registers and associated reporting mechanisms of your organisation. These highly strategic documents will support engagement with decision makers in the organisation, and ensure that risks associated with climate change are considered in standard organisation processes. 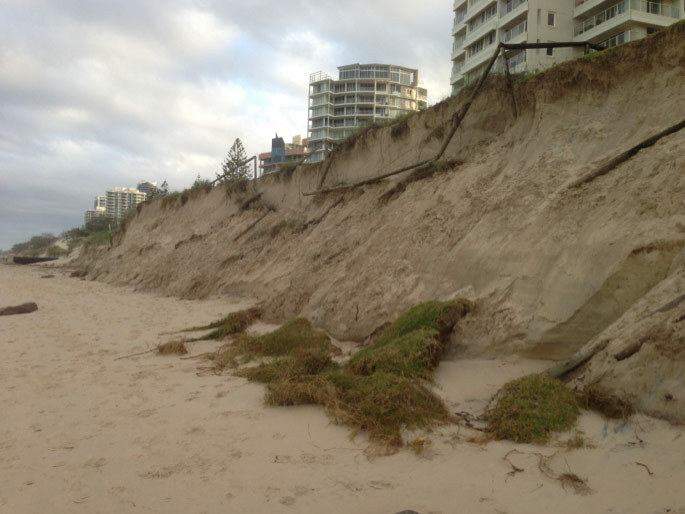 Figure 6: Beach erosion on the Gold Coast, including loss of foreshore parkland and associated fencing. Photo: © David Rissik. The initial ‘first-pass’ risk screening processes require few resources; they are not expensive to undertake and can be based on best available information (at a fairly coarse level), and on expert opinion. It is important that the approaches used, and the expert advice or input that is gained, is properly documented and stored. This record will act as a baseline, and can be revisited and assessed over time as more information becomes available or if finances allow for additional data to be collected, or apparent risk and associated appetite for risk makes an action imperative. If you do not undertake an initial assessment of the exposure of your organisation or project to climate change, you may not be able to present an effective case for action to the decision makers within your organisations. Your ability to have an evidence-based discussion with stakeholders and your community will be compromised. This may result in the opportunity for action being lost, potentially causing further challenges over time, when resources have not been obtained, planning may not have been effective and communities have not been engaged sufficiently. Having undertaken a first-pass risk assessment, you are now aware of the broader effects of climate change on your area of interest. These effects present challenges and opportunities which can be addressed through adaptation planning. To develop an effective plan you will need to do additional work and will need to engage with internal and external stakeholders. To begin this engagement, you need to consider how best to articulate the implications of climate change that you have identified through your risk assessment and why you need to adapt. We provide some information below to support you. It is important to understand the implications of climate change and to consider how it affects communities, ecosystems, organisations and infrastructure (for an overview see Likely impacts by sector). Adapting to climate change can support people to coexist with a future climate. It can help to maintain values and ensure that the quality of life of communities can be maintained or enhanced. Importantly, following a process of adaptation can help to identify and harness opportunities. Harnessing opportunities can help to maintain economies and lifestyles, and ensure that some positives can be determined in a climate affected future. This is an important message for communities, and can support engagement. There is a variety of legal, financial, ecological, economic and social reasons for adapting (Information Manual 10: Ecosystems, Information Manual 6: Legal Risk, Information Manual 5: Planning Instruments). It is important that these are all considered when making a decision about implementing adaptation measures. It may not be essential to spend money at an early stage of adaptation planning, but it is essential to consider the challenge, the risks and the costs and begin to engage with stakeholders. This is part of considering and developing an adaptation pathway. Failure to engage at an early stage may put your ability to adapt effectively at a later stage at risk, as disaffected or disgruntled communities may resist everything about the process. Information on adaptation can be found in Overview of adaptation, Importance of adaptation. Decision makers must ensure that a decision is within their power. Most powers come from legislation (e.g. the relevant local government act) that imposes a range of duties on a decision-maker. Policies tend to provide guidance and are important for decision-makers to consider, but do not carry the same power as legislation. 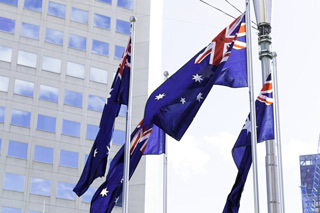 Australia is a common law (case law) country and where the courts have previously made a decision it is likely to be persuasive in any subsequent court case. Individual states and territories in Australia have their own legal and policy approaches to addressing climate change in the coastal zone. We provide links to information from each State and Territory which outlines legislative requirements related to coastal zone management and climate change adaptation for each jurisdiction. A page on Jurisdictional differences provides a table which identifies the key policies and legislation in each state and the Northern Territory relevant to planning in the coastal zone. Further information about planning and climate change adaptation is provided in the Information Manual 5: Planning Instruments. If not already done, it is now important to get support from leadership and management to act. Without this, it is very difficult to get traction within a busy organisation, to ensure that colleagues in different areas of an organisation are aware of the importance, and to begin a broader conversation with your stakeholders. In some instances, you may have identified that the scale of exposure to risks associated with climate change is greater than the scale of your organisation’s responsibilities. Even at this early stage, this is useful to know. And you should bear this in mind when considering your stakeholders, and in communicating with senior management and leaders. It may be useful to work together with different organisations at this early stage, which can assist in taking a collaborative/partnership approach to dealing with the issues. Collaboration can help to achieve economies of scale with data collection and analysis, making important work more cost effective. 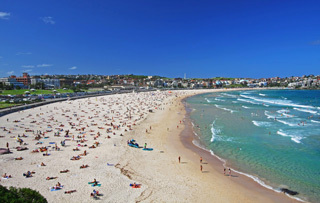 Sydney Coastal Councils, a group of 14 local governments in coastal Sydney, funded detailed mapping of the inundation associated with sea-level rise and ran a process to prioritise adaptation options for all their member councils (The SCCG experience). Individual councils would not have been able to afford or coordinate this if they were acting alone. Engagement and communication is one of the most important considerations of an adaptation journey. If not done well, internal and external barriers will not be overcome and it may not be possible to proceed effectively. Experience has shown this is not a simple or one off task, but should continue throughout the adaptation journey— which could be a long one. How can you get buy-in from senior management, from boards or elected officials, and from your community? The results of the first-pass risk assessment should be sufficient for you to develop a case and seek support from senior management, boards, elected officials, and the community to take action and prepare an adaptation plan. This case is not about funding the costs of action, but about getting sufficient support to collect additional data that may be required, getting the appropriate complement of staff to focus on the problem, and/or support from consultants. Getting buy-in and support from your organisation can be challenging, particularly for climate change where issues are complex, costs are potentially high, there may be considerable anxiety amongst stakeholders, there is great uncertainty, and some impacts may only happen far in the future. To support you to get internal buy-in, we provide a short guidance document with a series of approaches that can be followed (Getting organisational buy-in). Advice on building a case for action can be obtained here, guidance on selecting and engaging specialist adaptation consultants from here, and advice on using detailed data and scenarios to support planning from here: Accessing climate scenarios, and Using climate scenarios. Guidance on communication and engagement can be obtained from the Information Manual: Community Engagement. Some things to remember are to know your stakeholders and to have an understanding of their background knowledge about climate change and its effects. It is useful to work with a broad cross section of the community and to include people who may oppose the process, of different genders, of different ages, and from a range of sectors. It is also useful to include people from other institutions and agencies, and from different levels of government. At this early stage it is a good idea to work with existing groups of stakeholders (rather than just set up new processes) so you can canvas a diversity of views and ideas. 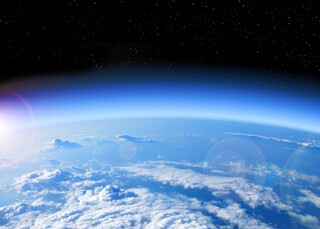 We have provided a lot of information about climate and its effects, about adaptation and other key information. Once you have worked out the approach you will take to communication, you can use components of this information as tools to support your engagement. It is important to develop an engagement strategy/communication plan that is flexible and measurable, and that is continuously reviewed so that adjustments can be made. Measuring the success of engagement and communication can enable you to make changes if you are not getting the outcomes you seek. More information about effective monitoring can be obtained here. Having developed a business case for adapting to climate change, and ensured that climate risks are incorporated into organisation risk tables and processes, you have started to embed climate risk into your organisations decision-making frameworks. There are several decisions about process and resources which should be considered at this stage. These include the following steps. Identifying who in the organisation will be responsible for adaptation. This could be a person or a team, but they need to have sufficient seniority to ensure that climate change adaptation planning will be taken seriously and be integrated across departments. Internal engagement has been identified as a barrier to effective adaptation, and establishing processes which overcome potential barriers at an early stage is critical for long-term success. Considering what type of governance, advice and review is required to support your adaptation planning and implementation. This may include establishing committees, or changing the terms of reference of existing groups. The composition of committees can make a big difference to the adaptation process and is a mechanism to ensure that a wide range of stakeholders are involved throughout. This requires clear understanding of your stakeholders and affected communities, but can also be an effective engagement mechanism throughout the adaptation process. Council Advisory Committees should have a broad membership and reflect the makeup of the community. 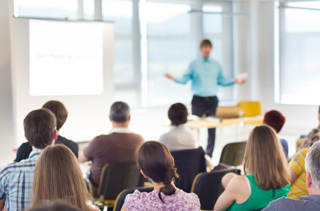 We recommend that they include representatives from a variety of sectors including business and industry. It is important to reflect some of the values of the community so that, where necessary, hard questions can be addressed. This makes it important that people with different views are included. The nature of climate change and its effects means that young people should be included too. Care should be taken to ensure reasonable gender balance of any advisory groups and committees. Over time, you may wish to assess the representation on your advisory committees or groups to ensure that you have the right mix of people to support your needs. At this stage it is also useful to consider whether your adaptation approaches should be mainstreamed into existing management and governance processes. This will support decisions you make through the planning cycle. More detailed consideration of mainstreaming will be required in Step 4. Have you scoped out/framed your adaptation needs and challenges, including the area/asset of interest? Have you identified barriers that may be impeding action? Have you established a vision and goals for your adaptation journey? Have you undertaken a first-pass risk assessment? Answering the following questions will determine whether you have accessed available resources. Have you accessed the Climate Change in Australia website to identify projected changes in climate relevant to your local area? Have you accessed the CoastAdapt datasets on potential local sea level rise and inundation mapping, and on the susceptibility of your coastal compartments to change? Are there datasets or maps provided by the State Government, or in the Coastal Risk Australia tool (www.coastalrisk.com.au), which show coastal hazards in your region? 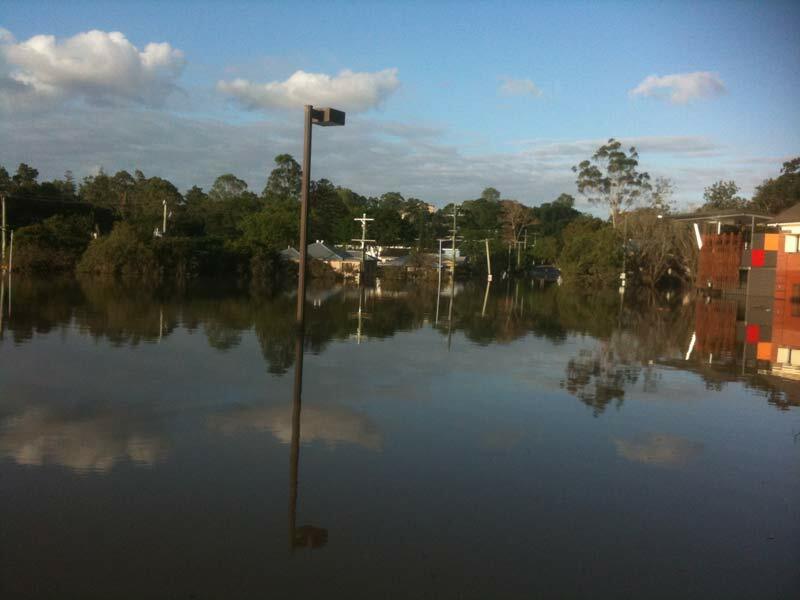 Has your local area been affected by catchment flooding, sea inundation, erosion, heatwaves or bushfires in the past? See Water Observations from Space in Shoreline Explorer? Have you accessed any additional local data and knowledge on climate change that may be available in your local area (local government, universities, NRM groups)? Have you considered accessing local knowledge on climate changes from long-term residents and Traditional Owners? Have you used the information you have generated to seek buy-in from your organisation, and from external stakeholders? Have you identified adaptation roles and responsibilities in your organisation, and established governance processes and committees or groups? Setting your organisation up with the information needed to prepare an adaptation plan. Barnett, J., B. Fincher, A. Hurlimann, S. Graham, and C. Mortreux, 2014: Incorporating community values into climate change planning: a guide for government. University of Melbourne. Accessed 12 June 2016. [Available online at https://minerva-access.unimelb.edu.au/bitstream/handle/11343/39610/ARCL%20Guide%20for%20government%20-%20final.pdf?sequence=3]. CSIRO and Bureau of Meteorology, 2015: Climate Change in Australia. Accessed 15 June 2016. [Available online at https://www.climatechangeinaustralia.gov.au/en/]. Jones, N.A., S. Shaw, H. Ross, K. Witt, and B. Pinner, 2016: The study of human values in understanding and managing social-ecological systems. Ecology and Society, 21(1), 15. Ross, H., and Colleagues, 2012: Climate Roundtables Southeast Queensland: short report. Global Change Institute, The University of Queensland. Ross, H., and Colleagues, 2015: A participatory systems approach to understanding climate adaptation needs. Climatic Change, 129(1-2), 17-42.